Kewdale resident Jasmin Steiner is enjoying success in eventing. MONICA Steiner believes her daughter Jasmin’s passion for horse riding has led to her success in eventing. Kewdale resident Jasmin Steiner, 18, received a Variety Heart Scholarship on April 6 to help with the costs of training and buying outfits. Miss Steiner was born with 18p Syndrome, which has had intellectual and development impacts, but it has not stopped her from having success. 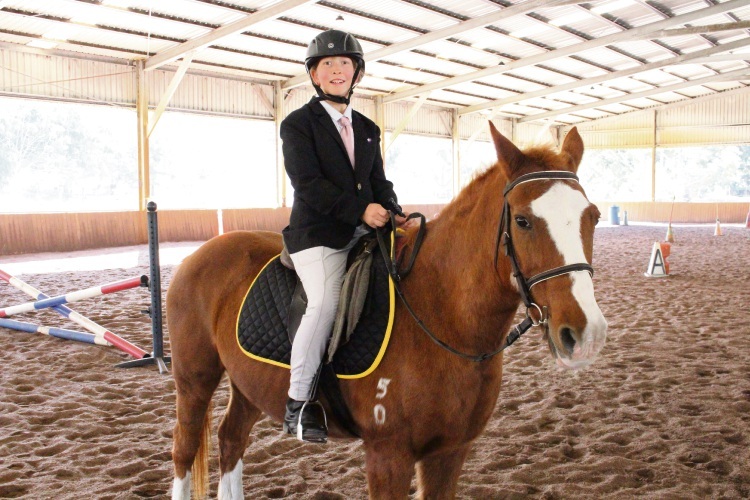 Among her honours at the WA Special Olympics last year was a first-place finish in the dressage categories and a trophy for the highest score, while was also nominated for the 2017 WA Disabled Sports Association team of the year. Miss Steiner trains once per week at the Therapeutic Riding Centre in Mt Claremont and the Riding for the Disabled Association WA’s facility in Carine. Monica Steiner said her daughter had been riding horses since she was 11 years old. “Riding is like all her Christmas, birthdays and everything else coming together,” she said. “I think her talent comes from the fact she likes riding and she is patient. Mrs Steiner said she was thankful to Variety and her coaches for assisting her daughter. “We had received $3000 previously but this year we decided to apply for $3500 and it was great for Variety to help us out,” she said. “It pays for her shoes, her helmet, the lessons and we couldn’t do all of this without it.